Peer Learning in Higher Education has seen significant growth in the UK and internationally over the last decade and there have been many innovative developments of models that use higher year peers to support the academic and personal development of lower year students. Supplemental Instruction is a global model, developed at the University of Missouri, Kansas City and has been adapted for use in HEIs across the globe whilst maintaining a common core of principles. 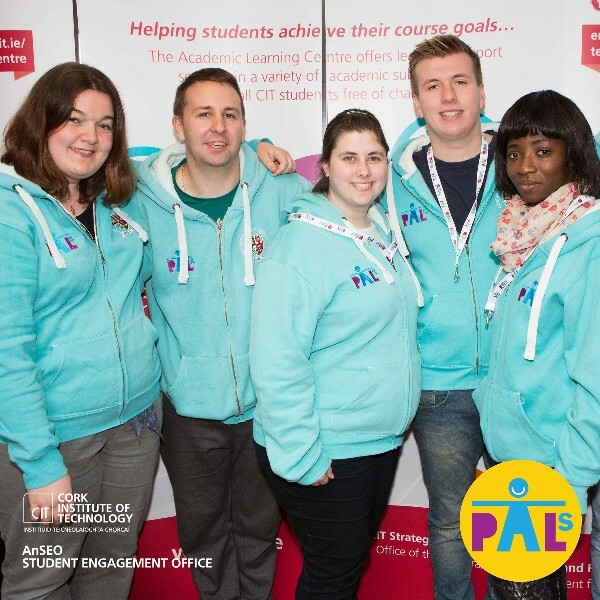 The PALS Study programme at CIT is an academic support program that targets historically difficult courses by teaching students how to integrate course content with reasoning and study skills to increase their performance. This supplements existing activity (e.g. lectures and tutorials) and enables active learning in an informal, friendly and fun environment. Enhance the learning experience and Personal Development of PALS Study leaders. The Supervisor training is for staff, and is especially relevant to Academic staff with PALS Study programmes running in their departments or with an interest in establishing PALS sessions for their students. It will draw upon examples of practice from the former UK National Centre for PASS/SI as well as practice elsewhere in the UK and in Scandinavia. For more information about Peer Support at the University of Manchester. Those who complete the Supervisor training course will receive the PASS/SI Supervisor and Leader manuals and a certificate of completion. The training offered by the International Centre for SI and affiliated National Centres is the only recognised training for the programme.